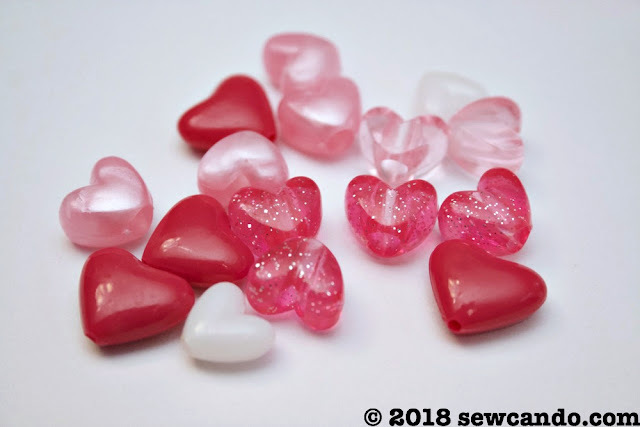 The holidays this year seem to close together - it feels like it was just a hot second ago it was Christmas, now it's nearly Valentine's Day and St. Patrick's Day and Easter are just a couple weeks apart. 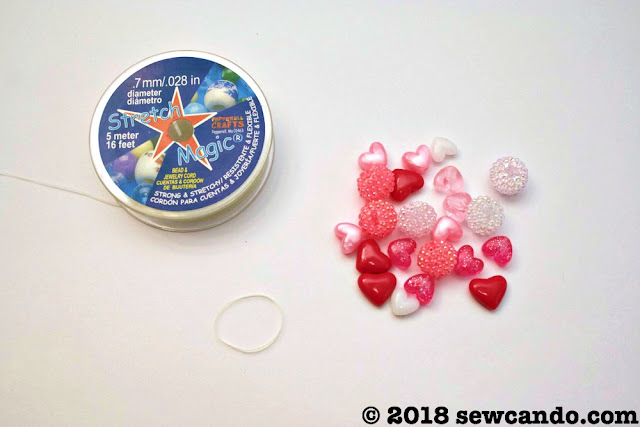 What's a busy crafter to do at the last minute? 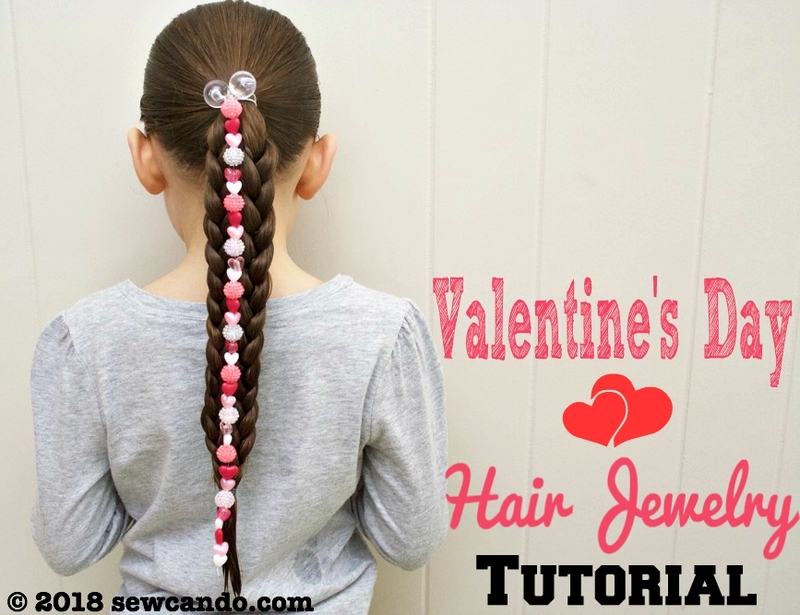 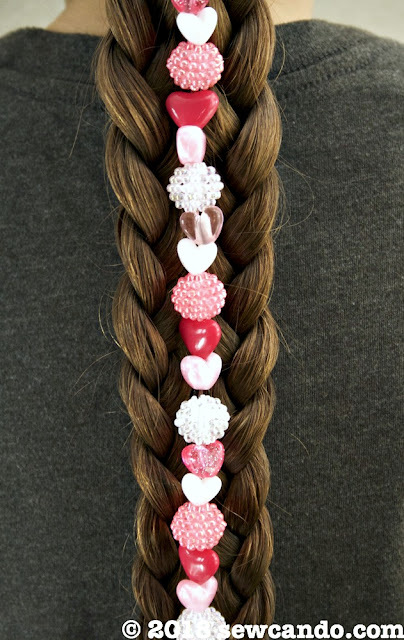 Keep the holiday projects fast & easy, like with this Valentine's Day Hair Jewelry! 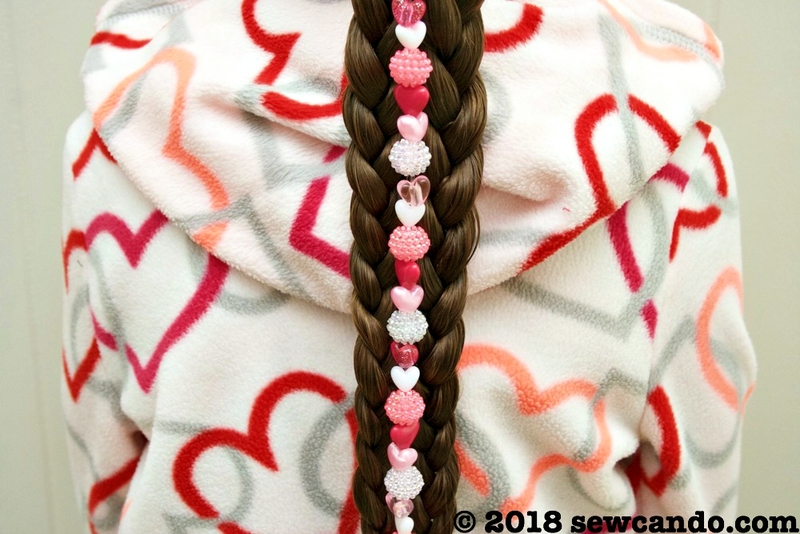 I had just enough to make a super long one for my daughter. Her hair is so long these days, it's hard to even fit it all in a photo! 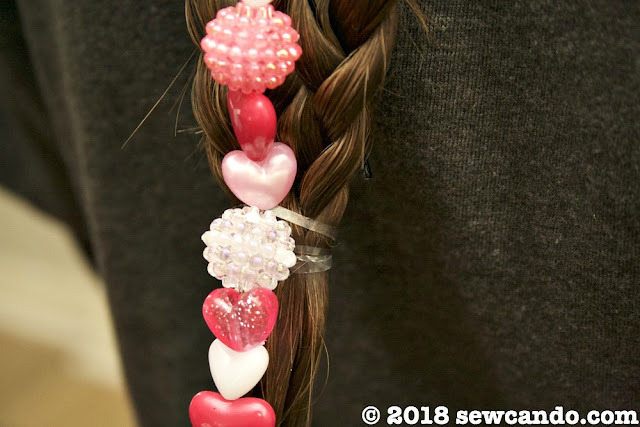 Now, Let's Make The Hair Jewelry! 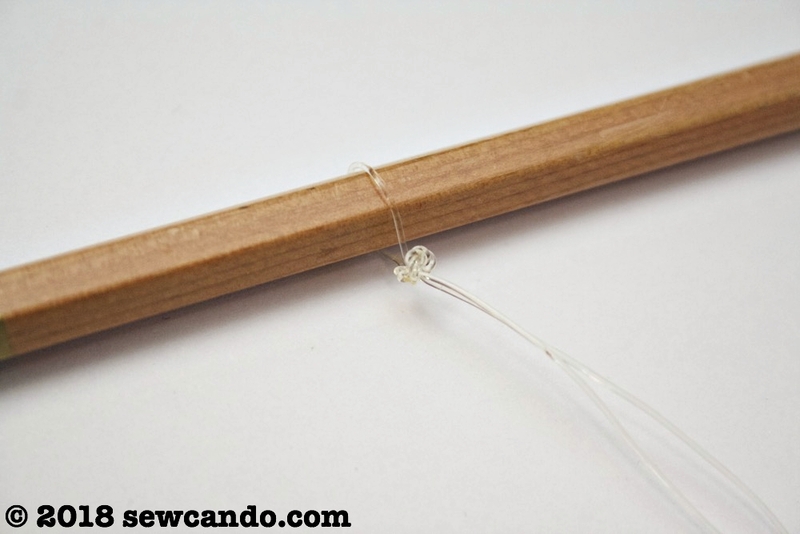 Cut a piece of the clear string double the length desired. Fold in half over a pencil and double knot it. 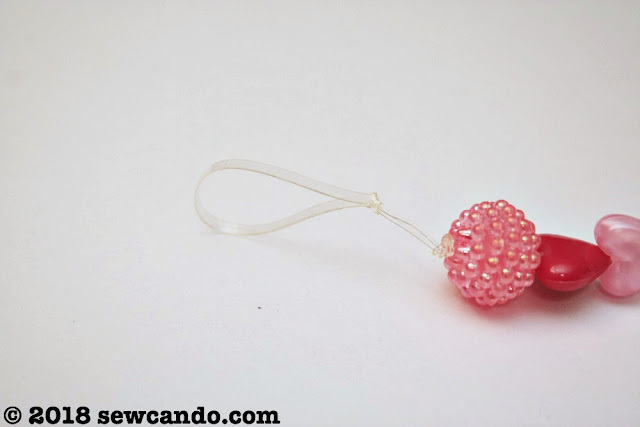 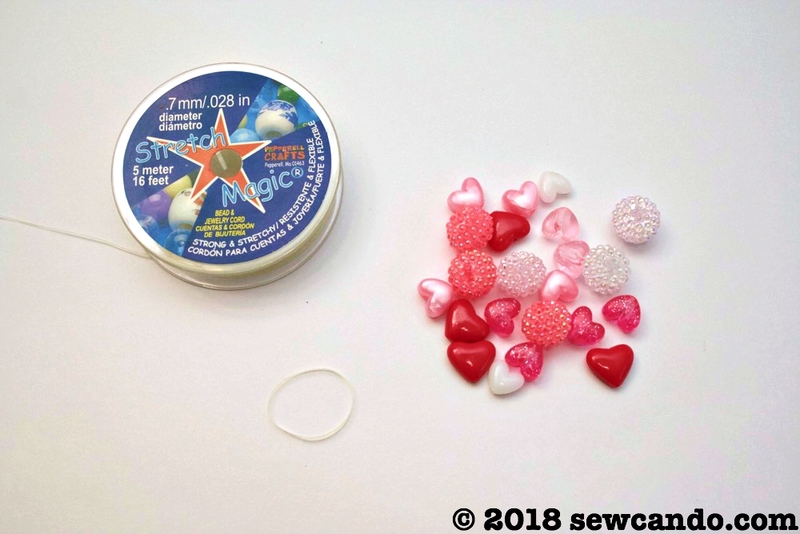 String the beads in the pattern desired. 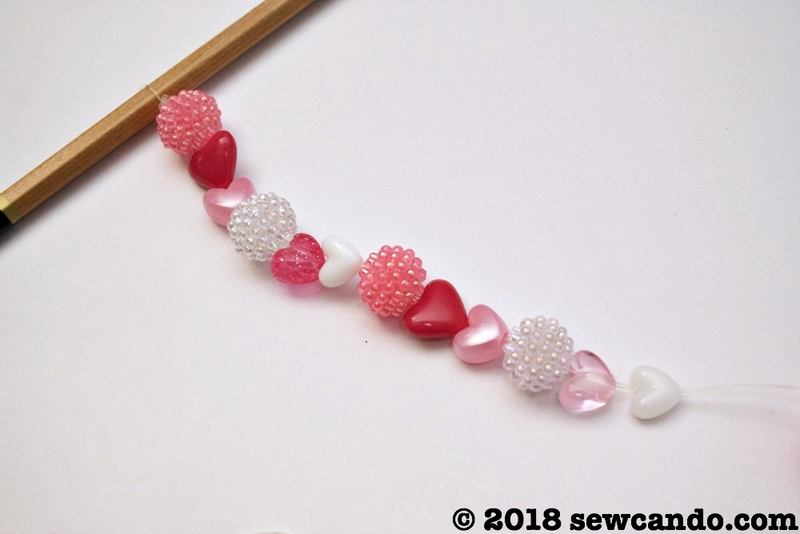 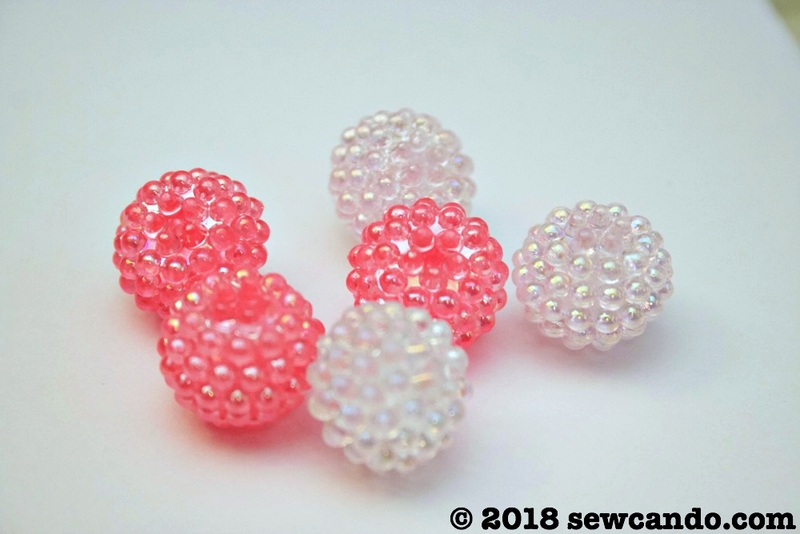 I alternated a berry bead for every two hearts. 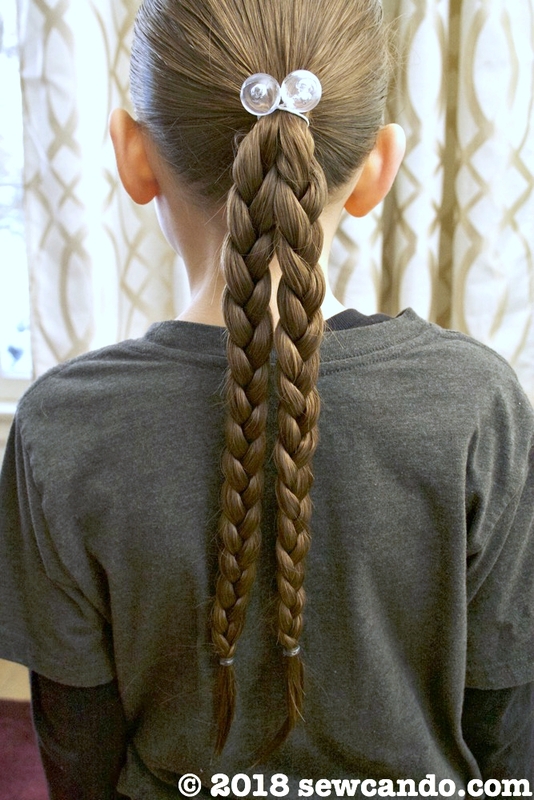 Once strand is full, double knot at the end to secure and trim off the tail. 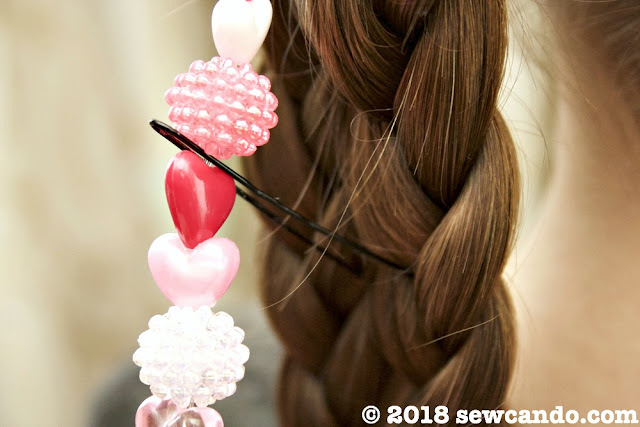 Remove pencil from the top and loop a clear hair elastic to it. 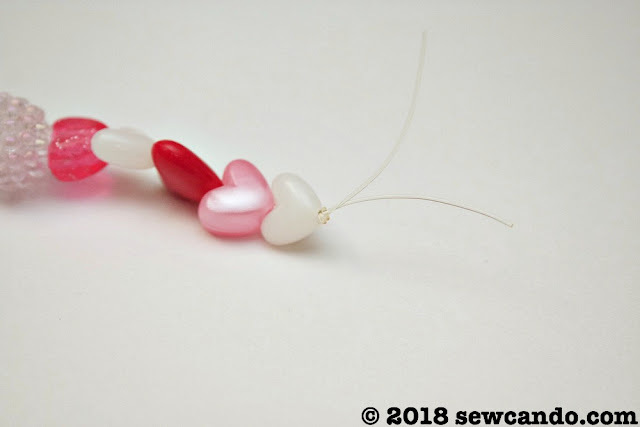 Now it's ready to use. To make an easy and full faux 6 strand braid to decorate, start by making a ponytail and splitting it into two braids. Next take some hair pins and every couple of inches, pin the bead strand down against each braid. 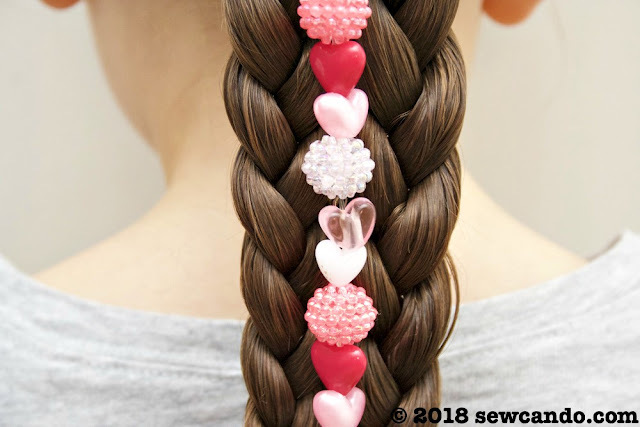 This will hold all 3 parts together. Secure at the bottom with a clear elastic. 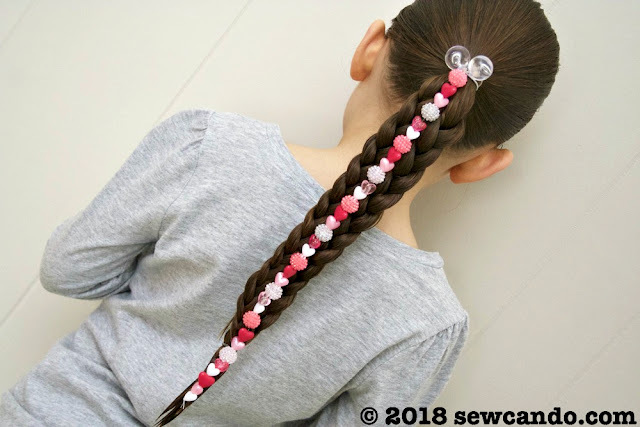 That is so cute--what a great idea! 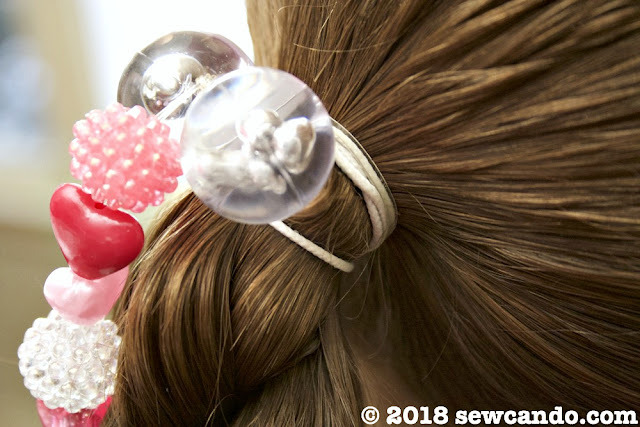 Thanks for sharing at Party in Your PJs!